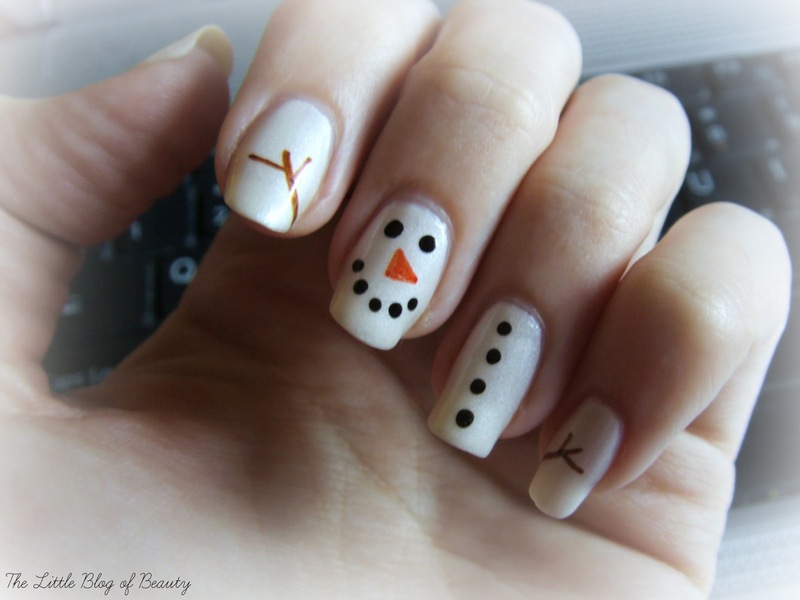 A very simple design today and I'm afraid this is my last Christmas nail art design for this year. Despite planning the designs I wanted to do quite early I've just run out of time to try them all out. I know, bad planning. Looking back I've discovered I haven't done very much nail art this year so I'm aiming to do much better next year. As I said, a very simple design this time. I just used Barry M's Silk in Pearl for a white slightly snowy looking base, used a dotting tool and black varnish for the eyes, mouth and buttons and then a brown and orange Sharpie for the nose and arms. Finally as usual I sealed everything with a top coat, and that's pretty much it. Mum was a little confused when I showed her so just to be clear my middle finger is obviously his face, my ring finger his tummy with buttons running down (although thinking about it now do you usually do 'buttons' down the front of a snowman?) and my index finger and little finger feature a twig arm each. 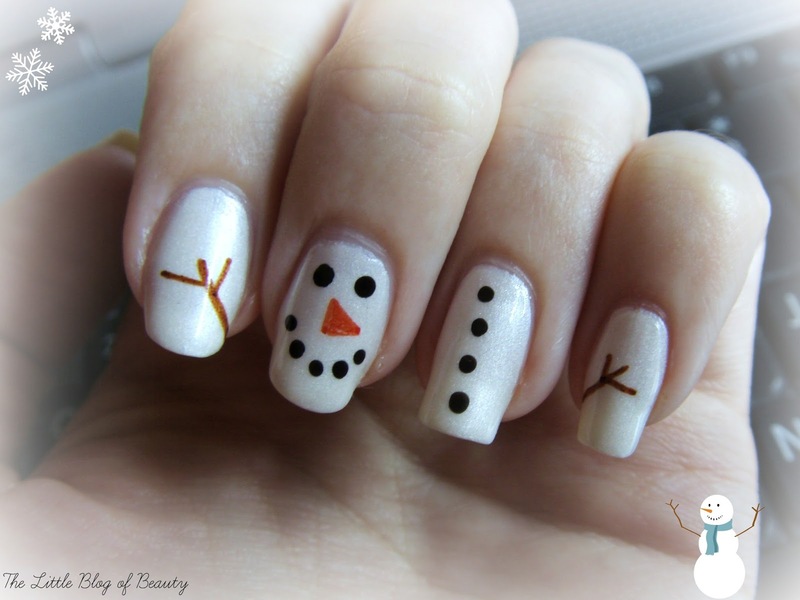 So each finger is supposed to be a separate part of the snowman. What do you think of Mr Frosty?